Re-charge your batteries. Re-think your potential. Catch That Fall is a unique three day retreat giving you the opportunity to identify any changes you would like to make in your life, and gain practical tools to move forward confidently and creatively — in body and mind. Led by a passionate team of professionals, the retreat program is a complete holistic health injection. Whether you feel stuck, are dealing with anxiety, lack of confidence, or simply feel exhausted — this retreat will return your vitality to you and put you back in the driving seat! From the stunning location and delicious nourishing meals, to physical training, movement sessions, coaching and holistic therapies, every element is designed to give you the insight and inspiration to return home relaxed and empowered with a new found confidence. “I have had a life-affirming few days and have felt the happiest and strongest I’ve felt in years - possibly ever! Thank you for such a positive experience. The group is limited to 12 people to ensure personal attention. This is deep work in a light-hearted environment. 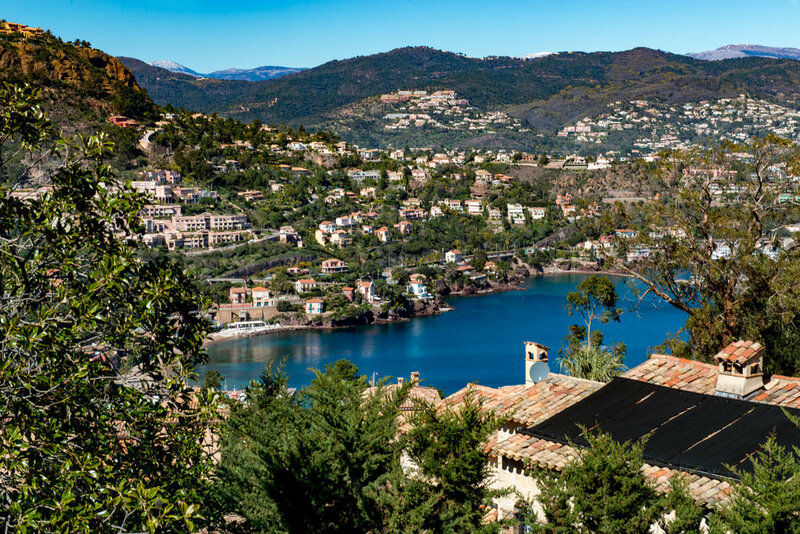 Two luxurious villas nestled in the hills of Theoule-sur-Mer on the breathtaking Cote d’Azur, France, will host our activities and accommodation. Click here for details of rooms. With many years of experience in their specific fields, Ginny (dance, movement and drama therapy) and Suz (physiotherapy and coaching) combine their knowledge and expertise to work subtly on the missing links and gaps in people's lives. The work is offered in a respectful, safe and friendly environment. We choose retreat locations that are serene and awe-inspiring. Our attention to personal detail will make you feel special and at home straight away. We combine nature, human connection, honest discussions, movement to enhance inner confidence, unique exercise, mindful meditation, creative art, swim and play. You will enjoy freshly, lovingly prepared food by our chef and can also relax and surrender in the hands of our exceptional massage therapist. For bookings please contact 020 7284 1168 or email info@sfstudioslondon.com. Cost per room includes all activities (except massage treatments), all your meals and snacks. We'll enjoy a celebratory dinner on the last night, with breakfast and snacks for your journey home provided. Does not include flights or transfers. Rooms will be allocated on a first come first serve basis. We will do our best to accommodate your choice of rooms.